Food service is about more than just cooking. It’s about creating an environment where people come together. Our Culinary Arts degree and certificates can take you there! Surround yourself with like-minded Culinary Arts students who share your passion for service. A Culinary Arts degree will prepare you for a variety of food preparation positions and for career advancement in the food service industry. We designed our curriculum with jobs in mind. We consulted with local industry experts and food service professionals to create a degree plan to fit the needs of our students and our economy. You’ll learn by doing in a real-world environment with commercial-grade equipment. No previous experience is required to enroll. You just need a love of food and a desire to learn. Join us for an informational session to learn more about the TJC Culinary Arts program. Due to limited seating, registration is required. To register for a session please contact Lauren Smith at lsmi4@tjc.edu or call 903-510-3024. 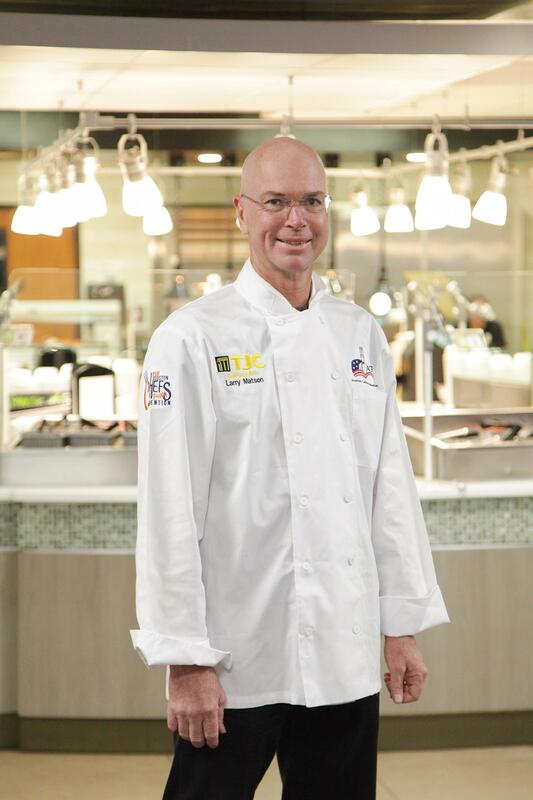 TJC has contracted with Fitzpatrick Architects to design a state-of-the-art culinary arts facility complete with a commercial kitchen and dining area. Practice your craft in a real restaurant setting! The Associate of Applied Science in Culinary Arts prepares students for entry-level restaurant management positions. Students will learn culinary and baking skills as well as management theories, practices, and strategies. Students will spend much of their time working in a culinary arts lab learning traditional, current, American, and international cooking techniques as well as inventory management and purchasing. This certificate introduces students to food safety, kitchen equipment, and basic cooking techniques. These courses teach the fundamental principles of knife and food handling as well as nutrition and menu management. Students earning this certificate will be prepared for entry-level positions in various types of kitchens. This certificate is for individuals interested in the professional baking industry. Students will learn the fundamentals of baking and cake decorating as well as food safety. Graduates will be prepared for entry-level positions in the baking/pastry industry. TJC is an open admissions college; however, enrollment in this program is limited. All requirements should be completed before selection for enrollment into the Culinary Arts program. Please follow the guidelines in the admissions application to apply for this program. Our application is free! Learn how to apply to TJC and get started. Do you have what it takes to be a Presidential Honors student? Find out more here.